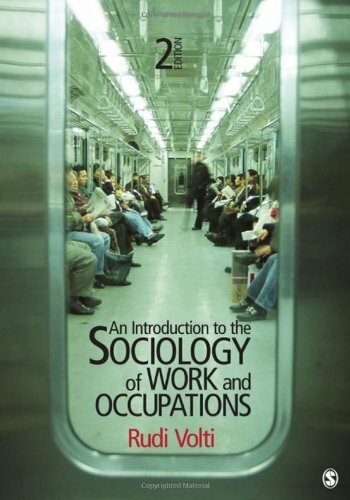 The Sociology of Work and Occupations, Second Editionaconnects work and occupations to the key subjects of sociological inquiry: social and technological change, race, ethnicity, gender, social class, education, social networks, and modes of organization. In 15 chapters, Rudi Volti succinctly but comprehensively covers the changes in the world of work, encompassing everything from hunting and gathering to work in today's Information Age. This book introduces students to a highly relevant analysis of society today.aIn thisanew and updated edition, globalization andatechnology are each given their own chapter andadiscussed in great depth.